‘Moon Gaze’ is about the relationship between humans and their view of the moon. Produced on a sapphire disc, the design uses photographs of my iris and my fundus/retina with representation of the vitreous body between them, combined with images of the moon and outer space. In particular the piece plays off the relationship between the surface of the retina and the surface of the moon, with symmetrical empty spaces (the vitreous fluid, and Space itself) between those surfaces and the iris, the latter allowing us to focus our vision. 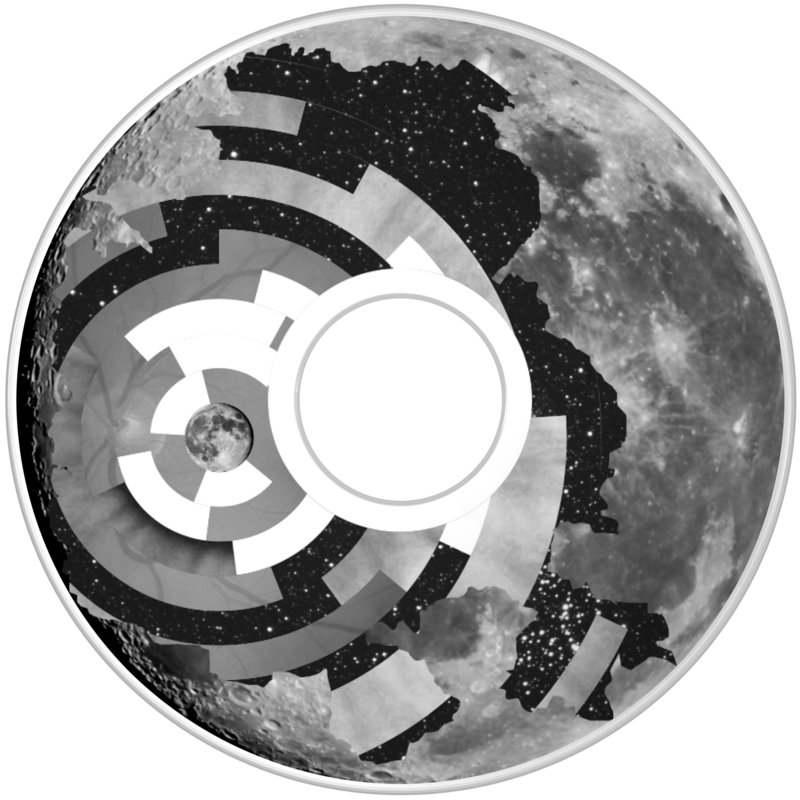 The relationship is abstracted on a relationship of 5 radial segments, based on a recurring pattern found elsewhere in the Moon Ark.